I’ve been doing a lot of speculation regarding the current storyline taking place on The Spoony Experiment, although as of recent eps, I think it might be safe to refer to it as The Sephiroth Experiment, but I’ll get to that. But yeah, these are a few speculations on plot points that have occurred and how it’s all tying together, and possibly where it’s all leading. Also, this will obviously have spoilers for people who haven’t been watching for a while, to which I only grant a single chance to turn back. Read a book people, I’m the goddamn SPOILERS!!! 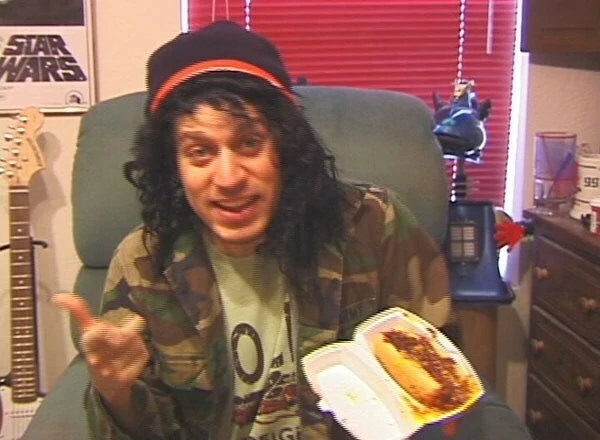 …Anyway, with that out of the way, let’s start off with a big one. Oh, and please remember that I could be WAY off with any of these. It’s just speculation. This one should be obvious. At the end of part two of the Final Fantasy X-2 review, Sephiroth appears by Burton, and we see in the Skullduggery review that he’s gone missing. He mysteriously returns at the beginning of part three of the FFX-2 review, but it’s clear that his programming has been altered. 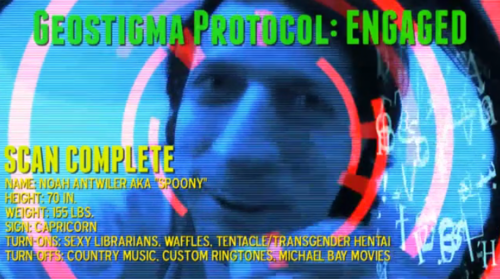 Also, we see that upon seeing Spoony, something called the Geostigma Protocol has been engaged. I’m not entirely sure if this means that Spoony has Geostigma or that it’s simply a codename to link it to Sephiroth, but either way it’s proof that Burton has been reprogrammed to work for Sephiroth, and if that one doesn’t sell you on that theory, this one should. For anybody that saw the ending of the Game Over review, you know what I’m talking about. If not, I will explain: At the end of the review, Spoony comments on the lameness of the plot and how the villain sends the protagonist into a virtual world to remain until he goes crazy. As soon as he mentions this, he sees the ankh, the symbol of the Avatar, and we are treated to some Grade A nightmare fuel. In case it was moving to fast for you to catch the whole thing, allow me to slow it down for you. If you don’t want to read about it, I will state the one thing about his story and his goal that most matters here: In Final Fantasy VII, Sephiroth planned to drop Meteor on The Planet, thus damaging it to such a degree that the Lifestream would have to emerge to heal the damage, at which point he would situate himself in the centre of the impact zone and merge with it completely, thus becoming a god. This seems to suggest that in the TGWTG universe (that Spoony’s show still takes place in, despite being fired), there is a Lifestream running through our world as well. However, rather than use Black Materia to call upon Meteor, Sephiroth seems to have utilized a different method: I believe he is actually using Spoony’s anger as a power source to drag Meteor towards the world. And because Spoony is currently residing in his virtual prison, he is completely unaware of what’s really going on…although it seems that someone has tried to warn him. Okay, I don’t want people to think that I’m suggesting the Guardian is a good guy hear. He very obviously desires to destroy and have people bow to his feet. However, I’m fairly certain that his goals conflict with Sephiroth’s. What makes me say that? Well, after rewatching the ending to the Ultima 9 review and the little Mass Effect 3 spoof that’s done there, the red and green endings seem to suggest that Spoony would cause the destruction of the world. As I pointed out before, Sephiroth’s character is not that of someone who just wants to destroy the world, and Noah Antwiler knows that better than anyone. Instead, I’m pretty sure that the Guardian is instead out to destroy and conquer and also to screw over Sephiroth’s plans. This is what this current storyline is leading up to, no doubt. 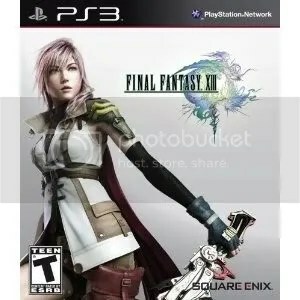 Noah has gone on record as saying that Final Fantasy XIII is, in his opinion, the worst Final Fantasy game ever (with possible exception being FFXIV, but let’s face it, EVERYONE hated that one lol). Plus, there’s the simple fact that Sephiroth gave him the case for the game, Burton was shown holding it at the end of the Game Over review, and it was inside the Armageddon spellbook when the Guardian gave it to Spoony. It clearly plays a role in Sephiroth’s plans, and as I alluded to before, they seem to be to bring Meteor down and merge with the Lifestream, thus becoming a god. Only by realising what’s been happening to him and breaking free can Spoony hope to stop him. Okay, I’m pretty sure the colour coded endings parodying Mass Effect 3 was just a joke, but even if it isn’t, I doubt very much any of them will be what actually ends up happening. I just feel that Noah is a bit smarter than to actually do that, or at least if he were to he would have some kinda follow up to it that doesn’t make it the end. Rather, his statement at the end of the Ultima 9 review and the look of determination in his eyes seem to suggest that he will find the fourth way out of this, stop Sephiroth, and save the world. Anyway, those are my thoughts. Again, I could be VERY wrong in a lot of my speculation here, but it is just speculation, so don’t rip me to shreds if things don’t play out like I said. Ja ne!